On a private Tokyo shopping tour, enjoy transportation to the best shopping locations in the city without carrying all your shopping bags. By booking this customizable experience by chartered vehicle, you can travel with your group of family or friends in a private limousine, van, or bus, whichever is suitable for your group size. 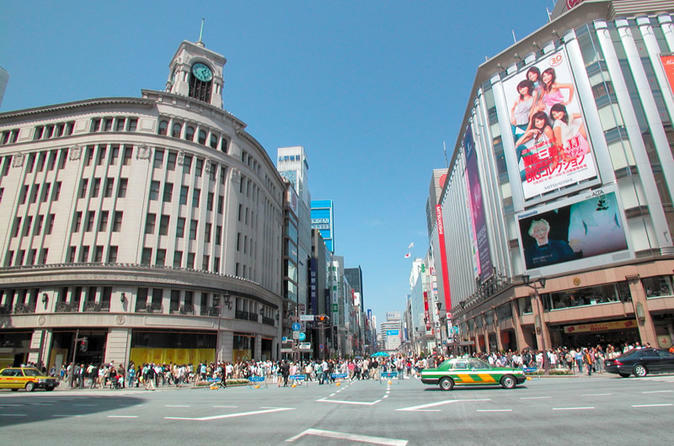 Choose four stops from top stores like Isetan Shinjuku, Takashimaya, or LAOX. When booking, select either a guided tour or a tour with a driver only, no guide. Your shopping tour begins with hotel pickup in Tokyo by private vehicle and driver, as well as a guide if option selected when booking. Your shopping itinerary will be arranged based on your preferences. You may choose four locations from the following selections. Shop to your heart's content, and keep your shopping bags in your vehicle so you don't have to carry them from store to store. You'll be returned to your hotel at the end of the day.